We could all use a little inspiration every now and then, a nudge in the right creative direction if you will. The right inspiration can be the difference between good and great. 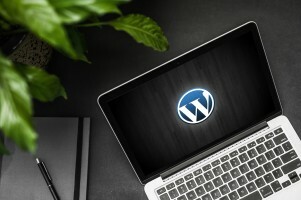 Website Design Showcases are a great place to seek inspiration for the creative direction on any new website design project, understand current user experience trends for web development and user journeys for E-Commerce websites. 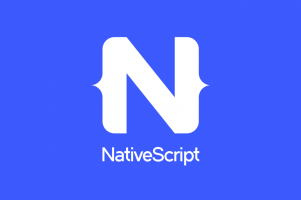 These showcases provide a curated list of some of the most exciting user interfaces from the design community. These showcases provide an unbiased array of designs from a range of freelancers, small agencies, and prominent design houses. Fonts & Typography - never be afraid to experiment but take the time to understand what works. Pay attention to User Journeys on the websites showcased. Lastly, don’t just copy what you see, no matter what you think, ‘Duplication’ is not a compliment. Eeek inspiration but make it your own. 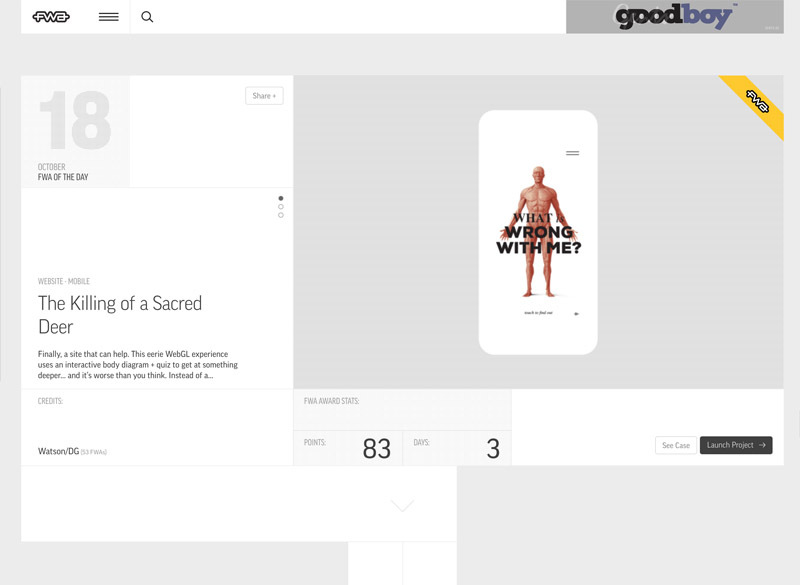 TheFWA or Favorite Website Award has been around for a long time and though their approach to visually presenting shortlisted websites has changed over time (quite a few times actually), it is still a great place to find inspiration. 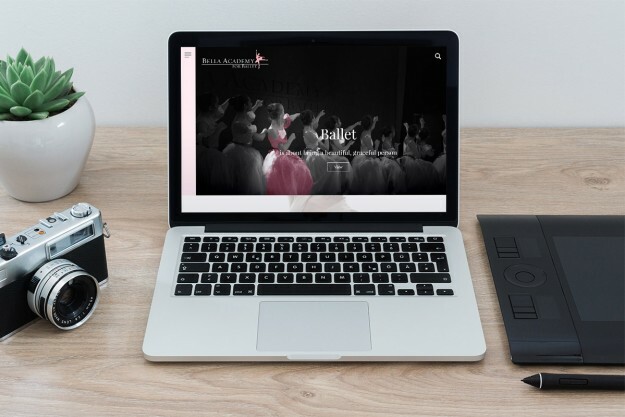 They primarily award website with the FWA of the Day, FWA of the Month and FWA of the Year awards. Apart from the awards, they also cover some great editorial content. 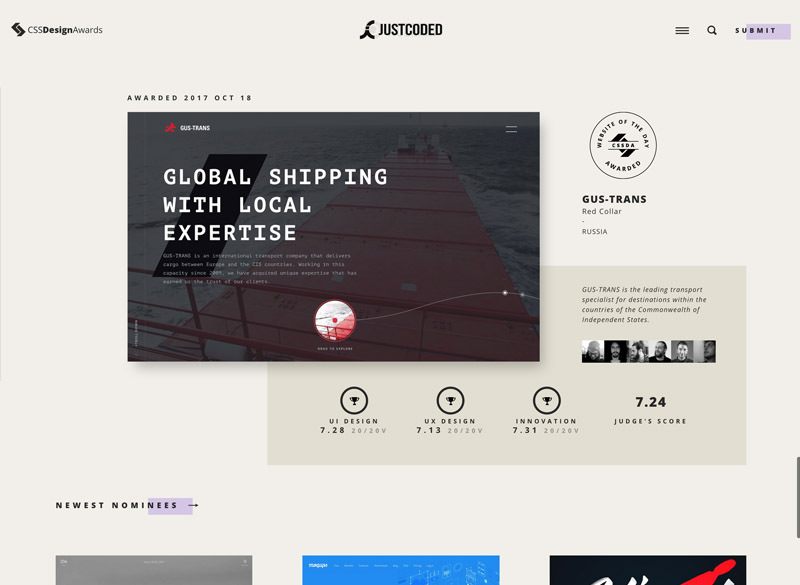 We really like CSSDesignAwards. It's a no-nonsense showcase gallery that allows you to discover websites by features, industry and color schemes. 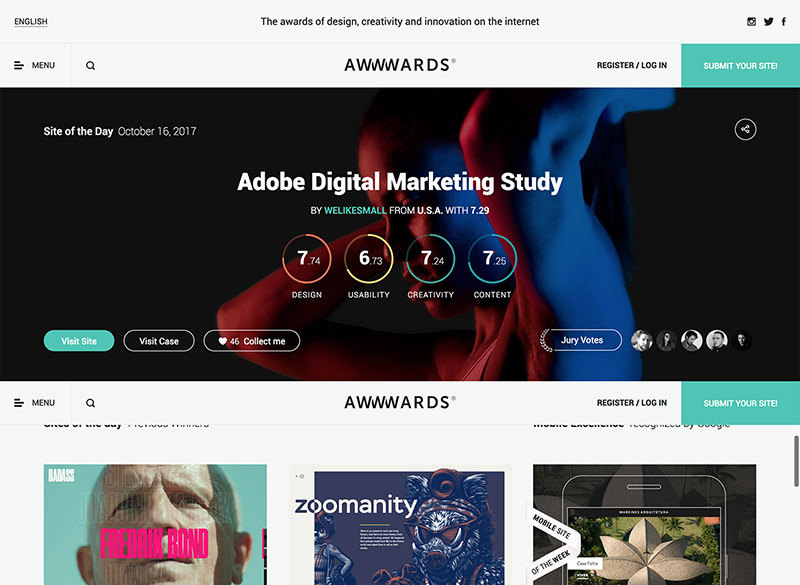 The gallery also features the popular award format with Nominees, Site of the Day, Month and Year. SiteInspire is a simple, straightforward gallery that allows you to discover websites with some great user interfaces by Style, Type, Subjects (That’s interesting) and even Platforms. StieInspire’s clean interface and great review process ensure that the gallery showcases some of the best work out there. 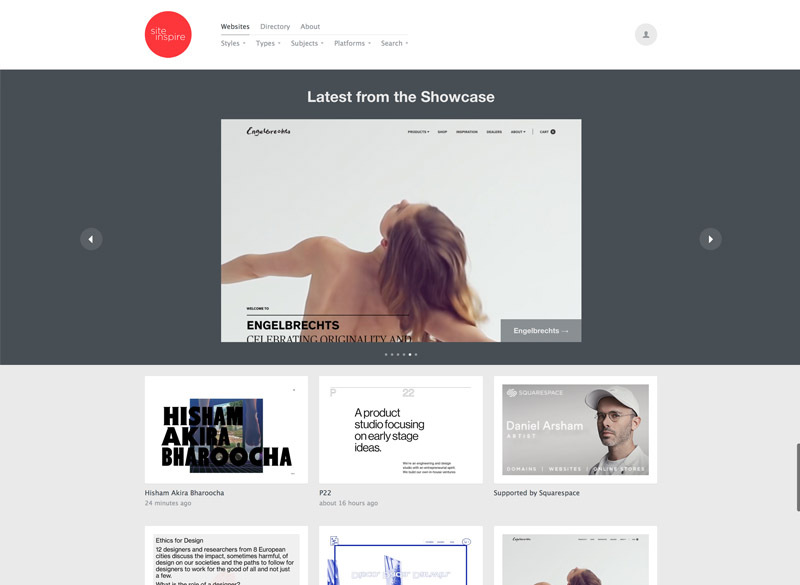 Behance.net is a famed portfolio platform which is under the Adobe umbrella. 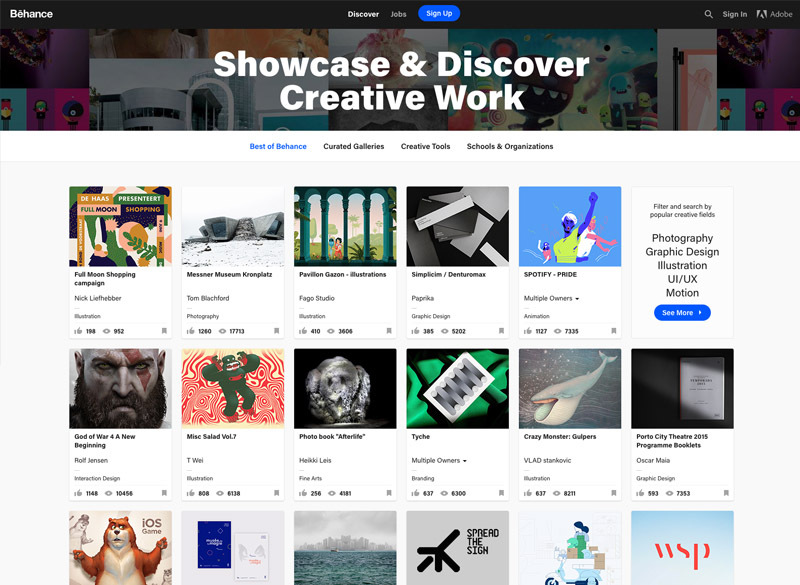 Behance allows artists from various walks to showcase their creative work across multiple fields. 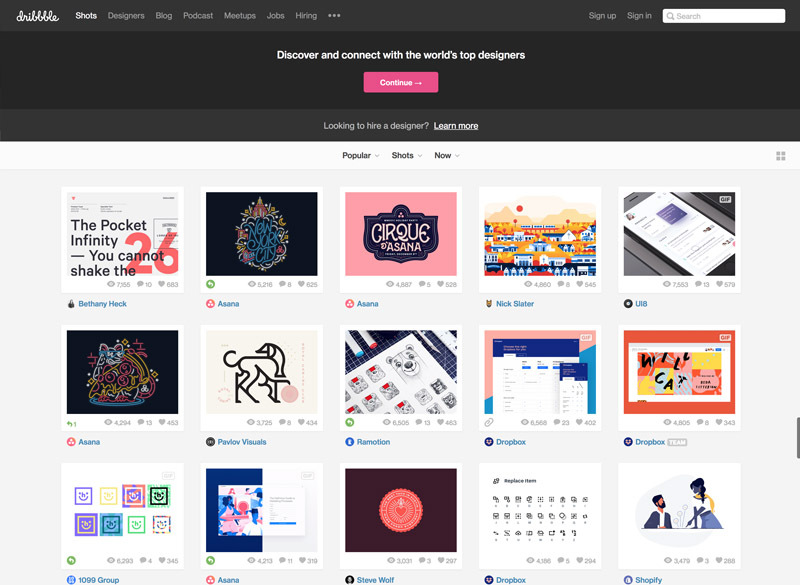 Behance is a great place to get instant access to the freshest designs from freelancers, designers, and agencies, big and small. Their discovery experience allows you to filter profiles and portfolios across multiple fields and locations. That about wraps it up. We hope you find our short but sure list helpful. Let us know if we missed any exceptional galleries out there or please feel to share your own sources of web design inspiration.